Sign up for Milly's newsletter! 14 brand new PDA books are releasing today. Go check them out at http://mtworldspress.com/! Would like to be kept up to date when Milly has a new book out? Then feel free to join her mailing list. Be among the first to learn not only about new and upcoming books but also appearances and signings as well as special promotions and giveaways! You won't be inundated with emails (she is way too busy) and Milly will never give or sell your information to anyone. 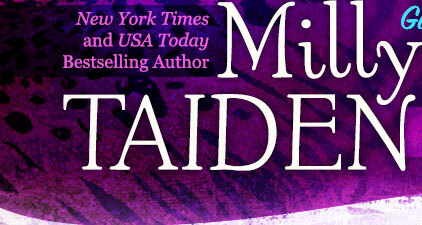 Copyright © 2012-2019 Milly Taiden. All rights reserved. I am an Amazon affiliate and if you purchase a book listed on this website, I earn a small commission. Thank you!